The editor of a special issue of a math journal — and author of many of the papers in it — has officially retracted the entire thing, after promising to withdraw it last year following issues with the review process. According to the note in Mathematics and Mechanics of Solids, the peer-review process was “less rigorous than the journal requires.” Indeed, that process was coordinated by guest editor David Y. Gao, a mathematician at the Federation University Australia, who was also author on 11 of the 13 papers present in the issue. Gao told us in November that he was withdrawing the issue because he thought it would be better suited as a book. 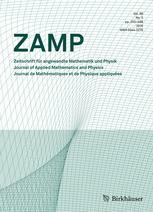 The editor and author of most of the papers in a special issue of a math journal told us he is withdrawing the entire issue following revelations that he had coordinated the peer-review process. The articles, published online earlier this year, recently received an expression of concern after the journal realized the guest editor David Gao, at the Federation University Australia, had coordinated the peer-review process. This was a major no-no, since Gao was also an author of 11 of the 13 papers. Mathematics and Mechanics of Solids slated the articles to be peer reviewed again, by reviewers not chosen by Gao. This version of Hurricane Isaac — based on the force of nature that hit Louisiana in 2012 — didn’t get very far. Atmospheric Research has retracted a paper on a simulation of the hurricane just a few months after it was published. The paper included two features that commonly get a paper retracted: erroneous data, and a dispute over authorship. The 2014 paper only has one author: O. Alizadeh-Choobari, a climatologist at the University of Tehran. Thirteen papers in Mathematics and Mechanics of Solids now have an expression of concern, after it came to light that an author on most of the papers coordinated the peer-review process. 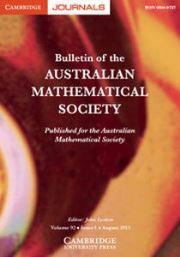 David Y. Gao, a well-known and prolific mathematician at the Federation University Australia, is the author of 11 of the papers, and also the guest editor of the special issue in which they were set to appear. The papers were published online earlier this year. A paper on an equation useful in finance has been retracted after editors discovered an “identical” version had been published in another journal. After we reported on a retraction for a 13-year old paper by Mohammed Aassila, a reader alerted us to two retractions and an editorial notice for the mathematician. Each of the notes is several years old. That makes a total of four problematic papers for Aassila. Each is plagued by the same thing: plagiarism. We investigate the blow-up of the solution to a complex Ginzburg-Landau like equation in u coupled with a Poisson equation in ϕ defined on the whole space ℝn, n=1 or 2. Every Banach space with separable second dual can be equivalently renormed to have weakly uniformly rotund dual. Under certain embedding conditions a Banach space with weakly uniformly rotund dual is reflexive. The author of a 2012 paper in Anaesthesia which offered the statistical equivalent of coffin nails to the case against record-breaking fraudster Yoshitaka Fujii (currently at the top of our leaderboard) has written a new article in which he claims to have improved upon his approach. As we’ve written previously, John Carlisle, an anesthesiologist in the United Kingdom, analyzed nearly 170 papers by Fujii and found aspects of the reported data to be astronomically improbable. It turns out, however, that he made a mistake that, while not fatal to his initial conclusions, required fixing in a follow-up paper, titled “Calculating the probability of random sampling for continuous variables in submitted or published randomised controlled trials,” also published in Anaesthesia.